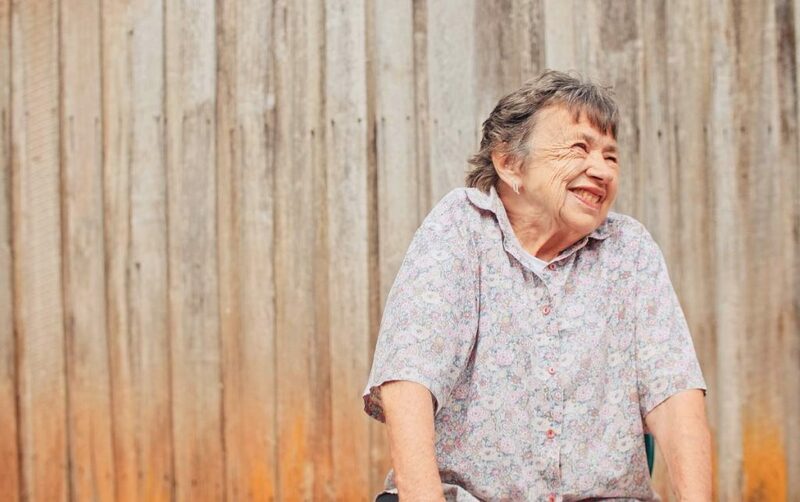 As much as she would have loved to, Vera’s has been living with Chronic Obstructive Airways disease for many years. Some of the most simple day-to-day tasks can be physically draining for her, so the thought of making the long trip to England to watch her daughter exchange her vows would not be possible. Coincidentally, as part of MCT’s latest research and innovation projects, we were already trialling the benefits of virtual reality. So one meeting, while the senior managers and executives sat in the boardroom learning more about virtual reality. Vera came to mind and everyone agreed she would be a perfect candidate, and the journey began. Executive Director Community, Jayne Williams, had been invited to the wedding, so she put her hand up to learn how to use a 360-degree camera and upload the footage to the virtual reality site. Following several meetings with Masonic Care Tasmania’s IT department, Jayne left Australia and made her way to the other side of the world. 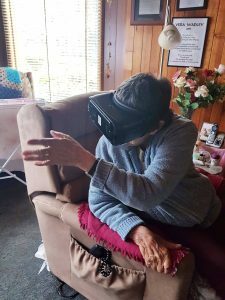 Here in Australia, a support worker and a very savvy IT man helped Vera with the virtual reality headset. 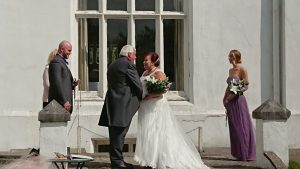 Before long, sitting in the comfort of her own home 17,518km from where her daughter was exchanging her vows, Vera watched a 360-degree view of her wedding. Vera’s daughter had her fairy-tale day in Torque, a beautiful seaside town in England, and Vera’s dream of attending her daughter’s wedding become a reality.